Love is like a perfect outfit: It makes you feel good no matter what. 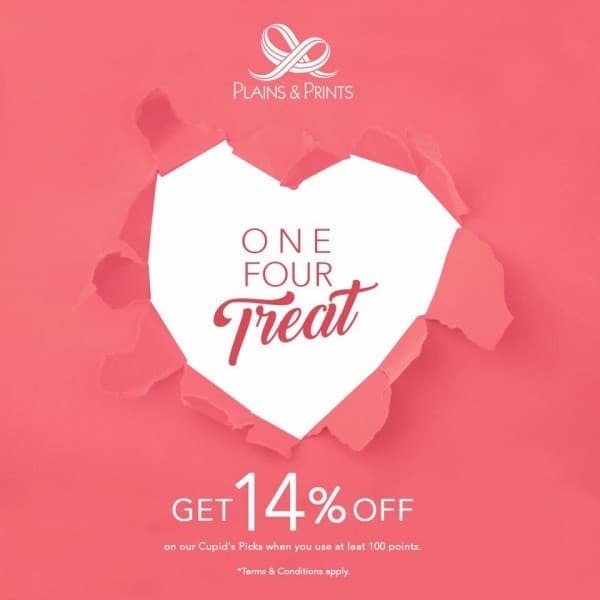 So give yourself lots of love with the Plains & Prints One Four Treat! 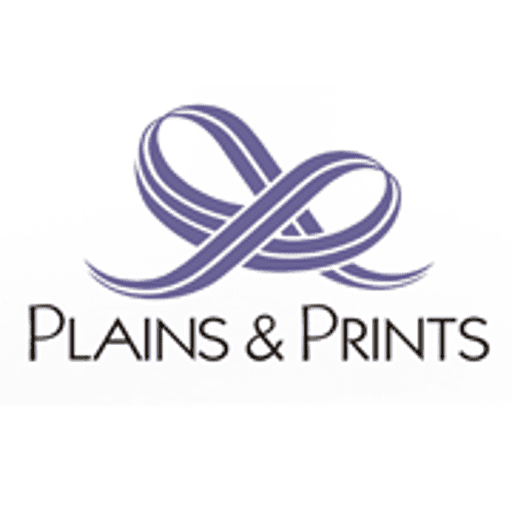 💕 Mechanics: a. Promo is open to Plains & Prints partnership cardholders only. b. 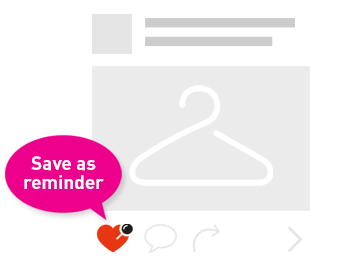 A customer will get a 14% discount on CUPID’S PICKS items when she shops using at least 100 points from Feb. 11-15, 2019. c. Customer must redeem at least 100 points to qualify in the promo. d. Promo is valid in all Plains & Prints Metro Manila and selected provincial stores: SM Marilao, Marquee Mall, SM Clark, SM Pampanga, Harbor Point Subic, NE Pacific Mall, SM Baguio, and Pavilion Mall. e. Regular, Prestige, and Elite partnership cardholders can earn points in-conjunction with this promo. 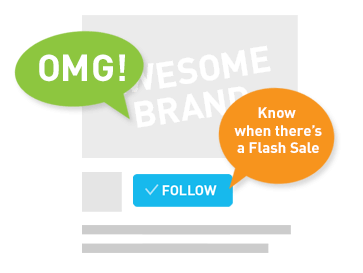 f. Promo is not valid for transactions with Sale and consigned items such as Happy Skin. g. Promo is not valid for purchases made with BDO Treats, RURU, Filgifts, and other complimentary GCs and coupons. h. Not valid in-conjunction with any other on-going promotion of Plains & Prints.